Please note that this site is under construction. It will be added to graphically with additional contents. H. 3 PRUSSIAN GUARD OFFICERS DRAGOON REGIMENT PICKELHAUBE. H. 5 PRUSSIAN OFFICERS PICKELHAUBE OF A RESERVE LINE DRAGOON REGIMENT. 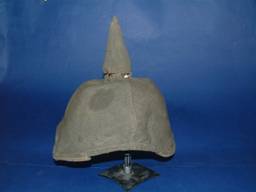 H. 7 BAVARIAN INFANTRY REGIMENT ONE YEAR VOLUNTEER'S OR SENIOR NCO's PICKELHAUBE HELMET. 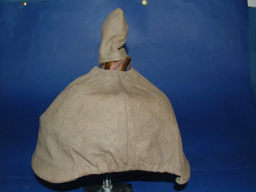 Leather shell complete with officers type silk and leather lining rounded type peak. All brass fittings ,i.e.. 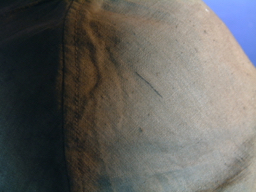 Peak trim back strap ( officers type..), undamaged and possibly original leather chin strap. Good quality Bavarian helmet plate. Original Bavarian and Reich OR's cockades The Bavarian being the very rare white type rather than the silver version.…overall good condition. Good condition..
H. 8 BAVARIAN CHEVAULEGER REGIMENT OFFICERS CAVALRY HELMET. Bavarian officers Pickelhaube with all silver fittings With its original Fluted detachable silvered spike. 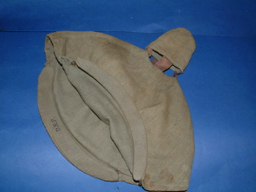 Fair leather shell complete with officers type silk and leather lining Dragoon type squared peak. All silvered ( German Silver ) fittings ,i.e.. Dragoon type peak silver trim back strap ( with two large rivets..), fluted detachable silvered spike and silvered metal chinstrap are all excellent Large Bavarian cavalry helmet plate with repair to one of the Lions tongues. Original Bavarian and Reich Officers cockades. 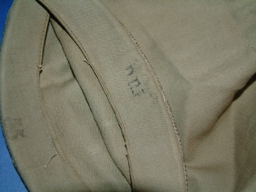 Silk lining in Fair condition…overall fair /good condition.. good size '54'. Character helmet that shows wear. 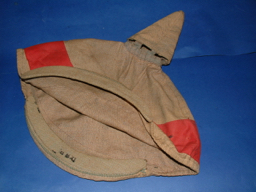 A superb fibre helmet of the 87Th ( Nassau) Infantry Regiment.. This is a pickelhaube of superior finer construction. Gilded fittings throughout.though being a very late war helmet so parts of the gilding have been absorbed into the "erzatz." metal base. Line Infantry eagle with added arcs with ''La Belle Alliance'' with Officers pierced Crown. Classic gilded eagle plate of excellent quality. Very long officers spike & rear spine held on with officers stars. Officers gilded metal scales chinstrap, silk lining in loose condition in officers ribbed silk.. Original Reich and Prussian cockades present. The ' Fibre' skull has a super black laquer finish remaining . Usual .late war pickelhaube non lined back and front peaks Green an A super ' 87th Line Infantry Regiment or the 73rd Fusilier Regiment late war officers helmet . H. 11 WURTTEMBERG FIELD ARTILLERY REGIMENT OFFICERS PICKELHAUBE. 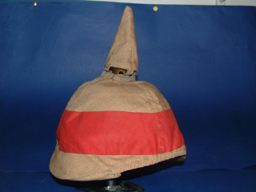 A good pickelhaube for an officer of a Wurttemberg Field Artillery Regiment. 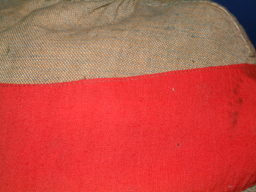 Cut in the same pattern of a Dragoon regiment . Gilded fittings throughout Brass cross plate base with the Artillery Ball (Kugle) & rear spine held on with medium size stars. Officers gilded metal curved scales chinstrap, ribbed silk lining in fair condition. Wurttemberg officers Original Reich and Wurttemberg cockades present. The skull has black laquer finish remaining . Usual .Green and red under peaks A good used Wurttenberg Field Artillery officers helmet. H. 12 PRUSSIAN OFFICERS PICKELHAUBE OF A LINE INFANTRY REGIMENT. A good standard officers pickelhaube of a line Infantry regiment . Gilded fittings throughout.. Standard IPrussian Line Infantry Officers helmet eagle quality. Brass circular base plate and long officers spike & rear spine held on with large stars. ( c generally indicates at least field rank ). Officers gilded flat metal scales chinstrap, silk lining in OK condition some .. officers Original Reich and Prussian cockades present. The skull has a good black lacquer finish remaining . Usual .Green and red under peaks A good standard Officers pickelhaube. 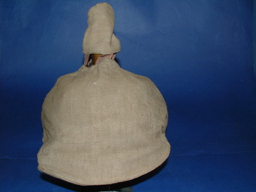 H. 14 PRUSSIAN OFFICERS PICKELHAUBE OF A PIONEER REGIMENT. A good officers pickelhaube of a line Pioneer regiment . Silvered fittings throughout.. Standard silver Prussian Line Engineer Officers helmet eagle of good quality with pierced crown. BSilver coloured circular base plate and long officers spike & rear spine held on with medium gilded stars. Officers gilded flat metal scales chinstrap, silk lining in fair condition. Original Reich and Prussian cockades present. The skull has a good black lacquer finish remaining . Usual green and red under peaks A good standard Engineer Officers pickelhaube. 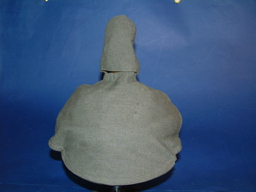 H. 15 PRUSSIAN RESERVE OFFICERS PICKELHAUBE OF A PIONEER REGIMENT. A good officers pickelhaube of a reserve line Pioneer regiment . Silvered fittings throughout.. Standard silver Prussian Line Engineer Officers helmet eagle of good quality with an applied gilded reserve cross and no motto to the eagles breast. with pierced crown. Silver coloured circular base plate and long officers spike & rear spine held on with medium gilded stars. Officers gilded flat metal scales chinstrap, silk lining in good condition. Original Reich and Prussian cockades present. The skull has a good black lacquer finish remaining . Usual green and red under peaks. A good Engineer Officers of the engineer reserves Pickelhaube. 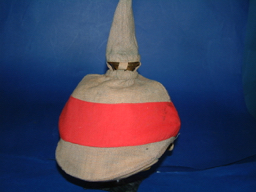 H. 16 PRUSSIAN ONE YEAR VOLUNTEERS 1896 PATTERN MITRE HELMET OF THE 1 ST GARDS (GRENADADIERMUTZE) REGIMENT ZU FUSS. 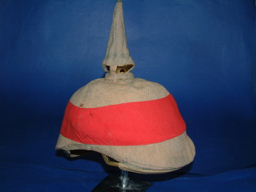 A far from standard standard ofne year volunteers Mitre helmet of the first Garde Regiment zu Fuss. Real silver fittings throughout.. Silver Front plate aside and rear plate Marked 925 silver Together with a Gold smiths Company letter confirming that the helmet metals are solid silver. Correct tapes to the mitre Correct bright red melton cloth exterior and interior . The metal support frame shows good patina ( Light rust as does the Pompom support. Correct pattern leather liner with a cloth name able attached Super detail throughout The front plate has suffered a little from years of polishing With its top black and white company pompom. H. 18 PRUSSIAN OFFICERS PICKELHAUBE OF THE LINE GRENADIER REGIMENT. A good standard officers pickelhaube of a line Grenadier regiment . Gilded fittings throughout.. Standard Prussian Line Infantry Officers helmet eagle quality. with the combined Kaisers initials in a cartoush on the eagles breast. Also has the ''Mit Gott fur Keonig etc etc. scroll across the eagle. 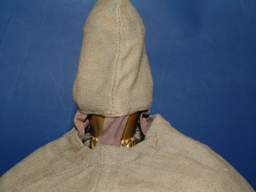 Brass circular base plate and long officers spike & rear spine held on with standard officers stars . Officers gilded flat metal scales chinstrap, silk lining in OK condition .. officers Original Reich and Prussian cockades present. The skull has a good black lacquer finish remaining . Usual .Green and red under peaks A good standard Officers pickelhaube. 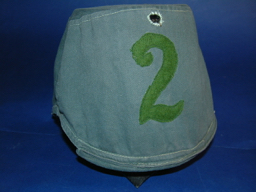 H. 19 PRUSSIAN OFFICERS PICKELHAUBE OF THE LINE FIELD ARTILLERY REGIMENT No 2. 1st BATTALION. A good standard officers pickelhaube of the line Field Artillery regiment Number 2 First Battalion. . Gilded fittings throughout.. Standard Prussian Officers helmet eagle of high quality with the combined Kaisers initials in a cartoush on the eagles breast. Also has the ''Mit Gott fur Keonig etc etc. scroll across the eagle. Brass circular base plate and long officers artillery ball ( Kugle) Circular kugle base & rear spine held on with standard officers stars . Officers gilded domed ( curved) metal scales chinstraps, silk lining of purple silk in loose but good condition .. officers Original Reich and Prussian cockades present. The skull has an excellent black lacquer finish remaining . Usual .Green and red under peaks A good standard Officers pickelhaube. H. 21 PRUSSIAN OFFICERS PICKELHAUBE OF THE LINE INFANTRY REGIMENT. A good standard officers pickelhaube of a line Infantry regiment . Gilded fittings throughout.. Standard Prussian Line Infantry Officers helmet eagle of good quality. Has the standard ''Mit Gott fur Keonig etc etc. scroll across the eagle. Brass circular base plate and long officers spike & rear spine held on with standard officers stars . Officers gilded flat metal scales chinstrap, silk lining in OK condition .. officers Original Reich and Prussian cockades present. The skull has a good black lacquer finish remaining . Usual .Green and red under peaks A good standard Officers pickelhaube. 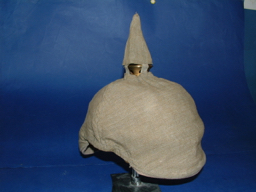 H. 22 EARLY 1871 PATTERN BADEN OFFICERS PICKELHAUBE OF A PIONEER REGIMENT. A good early officers pickelhaube of a line Pioneer regiment . Silvered fittings throughout.. Standard silver Line Engineer Officers helmet Griffin of good quality with pierced crown. Silver coloured circular base plate and medium officers spike & rear spine held on with medium gilded stars. Officers gilded flat metal scales chinstrap, Original leather lining in fgood condition. Original Reich and Baden cockades present. The skull has a good black lacquer finish remaining . Usual green and red under peaks A good old State of Baden Engineer Officers pickelhaube. 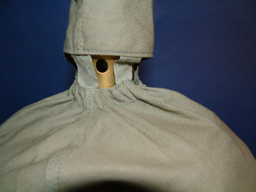 H. 31 OFFICERS PICKELHAUBE CAMMO COVER FOR THE INFANTRY PICKELHAUBE. 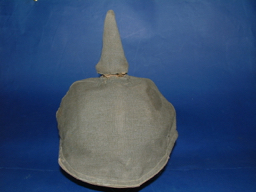 Grey green officers pickelhaube Reinforced front and rear peaks marked DRP.. Very minor scuffing The helmet is in very good condition. For a medium sized helmet with an average height spike. Made from that wonderful mixed fibre material . Original cover in excellent condition. 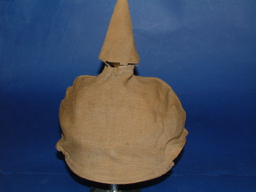 H. 34 OFFICERS PICKELHAUBE CAMMO COVER FOR THE INFANTRY PICKELHAUBE. 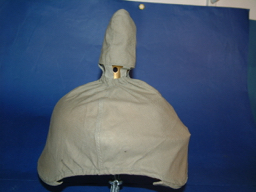 H. 37 OFFICERS PICKELHAUBE CAMMO COVER FOR INFANTRY . 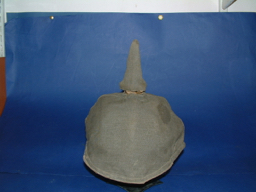 Brownish greenish / grey officers Pickelhaube cammo cover for the Infantry helmet They actually come in many various shades and weaves ( manufacturers and State variations) this one is in that multi fibre construction Unfortunately both the front and rear Reinforced front and rear peaks are cracked ...but are still fine when on display. D.R.P. marked to the front peak .. Minor scuffing.in very good condition. Originals are very rare. 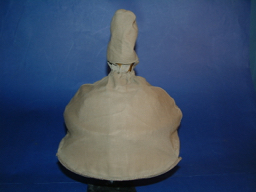 H. 36 OFFICERS PICKELHAUBE CAMMO COVER FOR THE INFANTRY PICKELHAUBE. 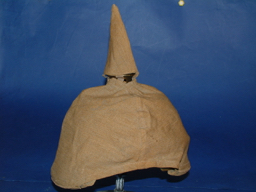 Brown green officers pickelhaube came cover ...Reinforced front peak marked DRP.. ndition. 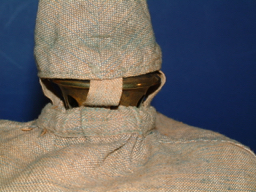 Brown green officers pickelhaube Reinforced front and rear peaks marked VORN (front ) For a helmet with a very tall spike. Originals are very scarce. H. 38. 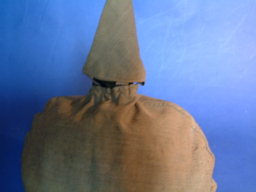 OFFICERS PICKELHAUBE CAMMO COVER FOR INFANTRY . Brownish green officers Pickelhaube cammo cover for the Infantry helmet They actually come in many various shades and weaves ( manufacturers and State variations) this one is in that multi fibre construction Unfortunately both the front and rear Reinforced front and rear peaks are cracked ...but are still fine when on display. D.R.P. marked to the front peak .. Minor scuffing.in very good condition. Originals are very rare. 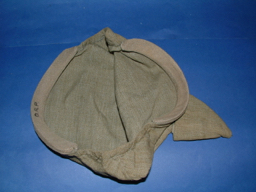 H. 39 OFFICERS PICKELHAUBE CAMMO COVER FOR THE ARTILLERY PICKELHAUBE. 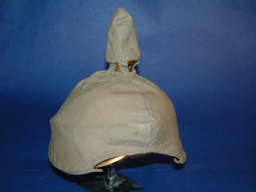 H. 40 OFFICERS PICKELHAUBE CAMMO COVER FOR THE ARTILLERY PICKELHAUBE. 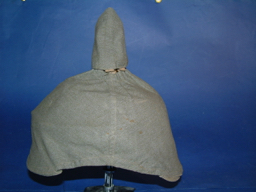 This Manover helmet cover is for a the Dragoon helmet above with a tall spike.. Grey green officers pickelhaube Reinforced front and rear peaks marked DRP..The construction of this cover is of the mixed fibre type. War Game referees red identification red stripe around the crown. Minor scuffing very good condition. Again for a large size helmet with a very tall spike. 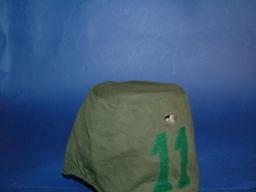 Originals of these Referee type 'cammo' pickelhaube covers are scarce. This cover came from the Dragoon Pickelhaube shown elsewhere. 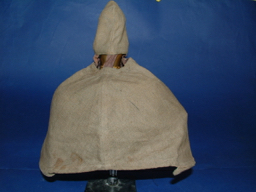 This Manover helmet cover is for a helmet with a medium sized spike.. Grey green officers pickelhaube Reinforced front and rear peaks, front peak marked DRP The rear peak has a crack. War Game referees red helmet with an average spike. 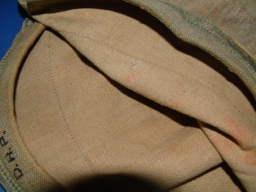 The construction of this cover is of the mixed fibre type. H.45 1895 PATTERN PRUSSIAN SHAKO FOR THE 13th JAGER BATTAILLON. Black leather shako gilded jaeger helmet plate with WFR entwined letters in a cartoush disk on its breast. Black leather and gilded metal mounted chinstrap which looks original shows light wear. Original Black leather shako OR's of the 13th Jaeger Regiment... . Shako with this rare gilded jaeger helmet plate mthough the Feldbadge is probably not original. 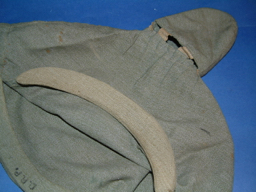 The NCO's three piece Reich cockade isin similar condition to the helmet all there but shows damage. Overall in very good original condition. H.46 1895 PATTERN PRUSSIAN SHAKO FOR THE 13th JAGER BATTAILLON. Black leather shako for Jaeger Regiment No 10 .... in very good condition the helmet is good, including the lining. Paper label with the owners details in the crown, again this shows age . Shako with Field Grey Prussian Jaeger eagle to the front with the bandeaus 'Waterloo" ''Peninsula'' ''Venta'' ''Del Pozo'' The helmet plate has the usual loops. .. Field grey fittings throughout ...original Chinstrap The Reich cockade is excellent Prussian field badge is probably a replacement. . Overall in very Good original condition showing considerable of its gloss finish..
H.48 PRUSSIAN 1895 PATTERN FIELD GREY SHAKO FOR AN ENLISTED MAN IN JAGER REGIMENT No. 4 thru 12 & 15 and 16. H. 49 PRUSSIAN SHAKO. Possible Luftschiffer or Telegrahhen Battaillon. Black leather shako silver fittings jaeger helmet. Silvered Jaeger line front plate plate with FR on its breast. Brown leather ( Often seen on Jaeger helmets ) and silver metal mounted chinstrap and silver 91 Lugs.. And a black and white Prussian Field badge and Reich cockade. Stamped to the top of the crown with date & other markings. In very good condition. H.50 PRUSSIAN SHAKO. Possible Luftschiffer or Telegrahhen Battaillon. Black leather shako silver fittings jaeger helmet. Silvered front plate plate with FR on its breast. Brown leather ( Often seen on Jaeger helmets ) and silver metal mounted chinstrap and silver 91 Lugs.. And a black and white Prussian Field badge and Reich cockade. Stamped to the top of the crown with date & other markings. In very good condition..
H.51 PRUSSIAN SHAKO. Possible Luftschiffer or Telegrahhen Battaillon. 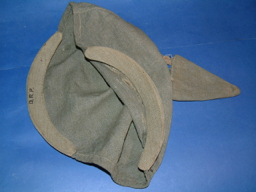 H.52 PRUSSIAN SHAKO. Possible Luftschiffer or Telegrahhen Battaillon. H.54 PRUSSIAN SHAKO. Possible Luftschiffer or Telegrahhen Battaillon. H.56 PRUSSIAN SHAKO. Possible Luftschiffer or Telegrahhen Battaillon. Any article over £500 should be accompanied by a 5% cost to cover insurance costs, as that is what has been added by the postal services i.e. If the item is £1000 the insurance will be approximately £50. However insurance up to £500 is considerably cheaper. H.53 PRUSSIAN 1895 PATTERN FIELD GREY SHAKO FOR AN ENLISTED MAN IN JAGER REGIMENT No. 4 thru 12 & 15 and 16. Black leather shako for a Jaeger Regiments 4 through to 12 and regiments 15 and 16.... in very good condition the helmet is good, including the lining. Paper label with the owners details in the crown, again this shows age . Shako with gilded Brass Prussian Jaeger line eagle to the front The helmet plate has the usual loops. .. Brass fittings throughout ...original Chinstrap The Reich cockade is excellent Prussian field badge is probably a replacement. . Overall in very Good original condition. 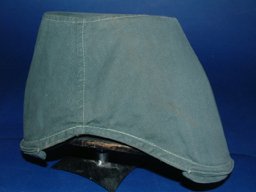 H.54 PRUSSIAN 1895 PATTERN FIELD GREY SHAKO FOR AN ENLISTED MAN IN JAGER REGIMENT No. 4 thru 12 & 15 and 16. 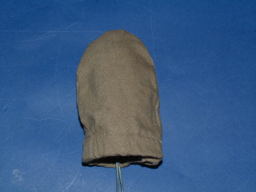 H. 56 SHAKO CAMMO COVER FOR THE 11th Jager Battalion ''Electorte of Hesse )( JAGER SHAKO. 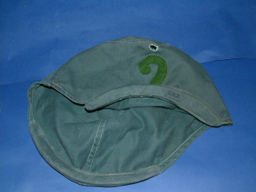 Dark green grey Senior NCO's / one year volunteers shako cover. Front and rear peaks in the officers style. though they do not have reinforced peaks, which gives greater flexibility. Some indistinguishable ink stamps ( look like makers marks ) to the inside crown also with DRP mark to the front peak. Green No 11 stitched to the front. Elasticated edges. 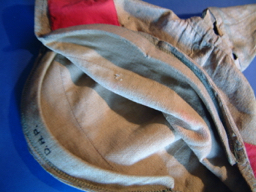 Minor scuffing good condition made from cotton twill.. Will fit an officers helmet..(OR'Ss helmets were higher and officers were lower so appearing more squat in shape ). This cover was bought as an original over 20 years ago from a different source from the one below. ( To me it looks like an original cover with possibly a later added number but then again possibly all original..) Thus the low price. 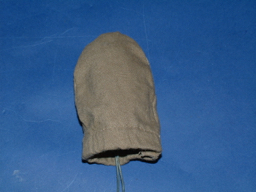 H. 57 SHAKO CAMMO COVER FOR THE 2nd BATTALION PRINCE BISMARCK (POMERANIAN) JAGER BATTSHAKO. Often covers are referred to as ex police covers.... I have seen police covers ( In the Berlin Police Museum ) and they appear to much more of a police green rather than karki / grey ? These are rarely available but enquire, you never know.Please note the Officers types come also with the knopf 91 size holes for the early field use ( the metal chin straps were not efficient and the leather chin strap was used. The above Kokarden are from my own collection and not available sorry. Page 1 Infantry Helmet Plates. Page 4 Officer Shoulder strap Monograms. Indispensable to all Imperial German collectors..
H. 36 HELMETS AND HEAD DRESS of the IMPERIAL GERMAN ARMY 1870-1918 Book by RH Rankin produced 1965 ..
Hard back 152 pages of most of the dress helmets in the German army. An Early classic text essential to those with a sense of nostalgia for Pickelhauben, both collectors and fanciers. Very scarce now, in excellent condition. Bass Infantry Officers Pickelhaube helmet spike and round base base, Early pre war type 3 officers fixing stars. some gilding remaining to the Brass finish. medium height spike with pearl ring Overall in very good condition. German Silver Officers Pickelhaube helmet spike and circular base base, Early pre war type . excellent German silver metal finish. Tall spike with pearl ring 2 officers fixing stars remain. Overall in Very good condition. HE. 33 BAVARIAN CAVALRY OFFICERS SILVER PICKELHAUBE SPIKE, CRUCIFORM BASE & FLUTED SPIKE. German Silver Bavarian Officers Pickelhaube helmet spike and circular base base, Early pre war type . excellent German silver metal finish. Tall fluted spike with pearl ring 1 officers fixing star remains. Overall in Very good condition.